Montana climate data and metadata are provided for Montana and basins that intersect with Montana’s borders. The collection includes climate station data, statewide meteorology, and terrestrial products. The data are provided by the Montana Climate Office. The Climate Office provides overview information on each published dataset and the status of development. Complete documentation for each dataset is provided in metadata that accompanies each product. Please use the Data Products sidebar on the Data Products page for access to the data. The Montana Climate Office maintains a climate station mapping application as an interface for those seeking information on specific climate stations. Each station is linked to a web page with more detailed information and includes a link to download data. The mapping application can be viewed on most desktop and mobile devices. 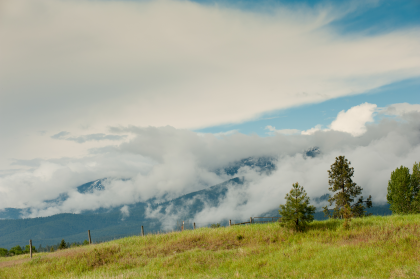 The Montana Climate Office distributes high-quality, timely, relevant, and scientifically-based climate information and services under the direction of the State Climatologist. Products include daily meteorological measurements, and a number of common satellite-based terrestrial products (rasters). To guide product development we rely foremost on peer-reviewed literature and best practices, and consultations with other experts. Our on-going goal is to provide information to the public that is reliable and meets the highest quality standards. We strive to provide targeted information for specific sectors of interest by either geography or application, and assist stakeholders in adapting climate products to their needs.